I am totally satisfied with the products and the installation team was great--polite and professional. "We had Energy Swing Windows installed by a Maryland Contractor. 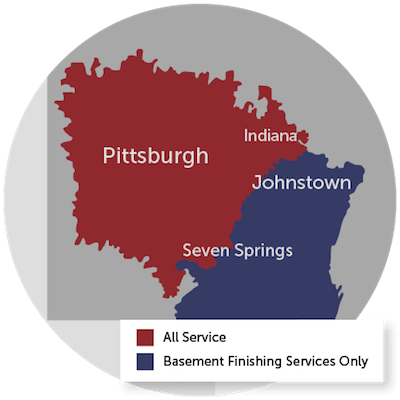 One of the windows had a problem and even though the Energy Swing..."
In business since 1996, Energy Swing Windows is known and trusted in the area for high-quality service and solutions for your window and door needs. Our products, including our namesake, the Energy Swing Window, are designed to promote beauty and energy efficiency in your home. We'll help you choose the option that feels right for your home. But our products are just one part of our company. Over the years our customers have come to rely on us because of our dedication to doing things the right way. We pride ourselves on our ability to communicate, both internally and with you! When everyone is on the same page, getting the finer details in order is a lot easier. Our customers appreciate that we take the time for them, and we look forward to sharing this same level of service with you! Our employees are the other part of our success equation. Our installers have over 10 years with Energy Swing Windows and 30 years of industry experience to give you peace-of-mind that you're in good hands with Energy Swing Windows. Steve Rennekamp, owner of Energy Swing Windows, has decades of experience in the window industry and as an entrepreneur. Steve Rennekamp has over 40 years of experience in the window industry, but the foundation of his company can be traced back to his childhood. 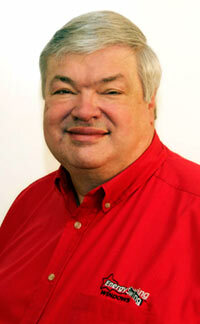 As a kid Steve loved to tinker and experiment, building contraptions and developing his passion for engineering. And because of his height (he's 6' 8''! ), Steve also played basketball, where he learned about the value of teamwork and working hard. Steve received a degree in Engineering from NYU and went on to work for Alcoa, an aluminum window manufacturer, after college. He was on the team that designed and tested the first thermally improved window. Steve's experience helped spark an idea for a new window; now known as the Energy Swing Window, this product revolutionized the window industry because of its easy to use, easy to clean, and energy efficient nature. This window was patented in 1995 and went into full scale production in 1999, and Energy Swing Windows has been a major competitor ever since! The lessons Steve learned throughout his life have helped contribute to the success not only of his product, but also of his company as a whole - the entire team at Energy Swing Windows works hard every day to communicate and deliver quality products to our customers, all under Steve's leadership. To protect your home from dirt and debris when we work on your windows and doors, we have to put something down on the ground - and we think that a red carpet accurately displays the respect we show our clients! When we come to your home to get started on a project, we will literally roll out the red carpet and show you that we've thought of everything when it comes to your satisfaction. Energy Swing Windows is partnered with several local and national organizations that support the work we do. 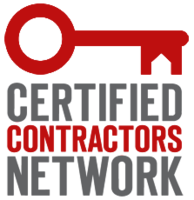 We are members of the Certified Contractors Network (CCN), the Westmoreland and Monroeville Chambers of Commerce, and the Greater Pittsburgh Business Connection. Over the years we have also been honored with several awards that recognize our skills and customer service, including the Better Business Bureau Torch Award for Marketplace Ethics, the Westmoreland Chamber's Business of the Year, and many more. We have our customers to thank for our success!